Kicking off this week’s Outfit of the Week series, I thought I would do something different. In addition to the Etsy links, I have also posted the photos with permission from most of the vendors. The photos add a well-rounded, catalog feel to the posting. I have been thinking about the series all week, so much so, that instead of one outfit, I am presenting three outfits only for this weekend beginning with Summer White and Black. Summer White and Black outfit begins with a pretty vintage white knit sweater by Etsy Vintage Vendor, EpsilonVintage. A soft chainlink design across the top and bottom of the sweater accentuates the scalloped neckline and hem. The tie-waist and the gathered pleats at the shoulder make this quite a unique sweater. It will keep you warm on the coolest summer days. 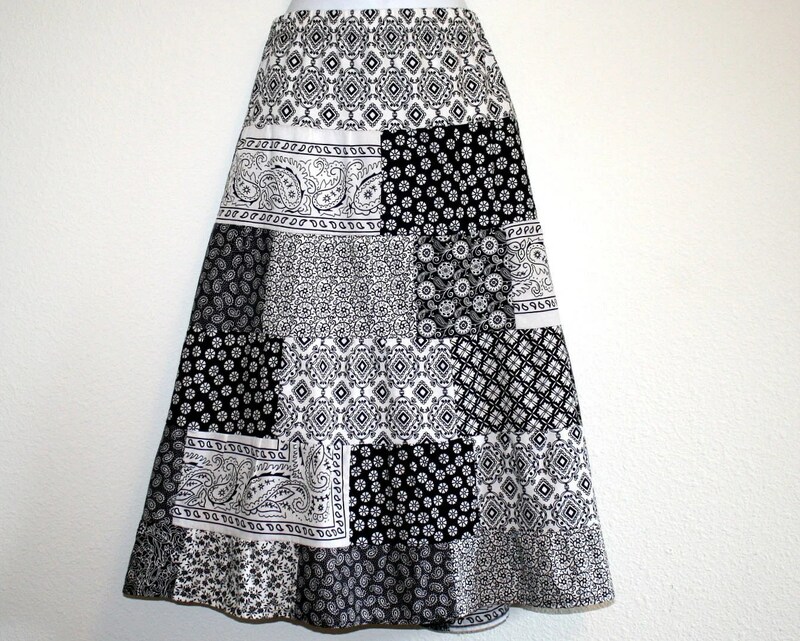 A black and white patchwork tiered design of diamonds, flowers, and paisleys sparked an interest for this pretty 100 % cotton skirt. Catch the summer breezes walking down main street and watch the heads turn, as well. Etsy Designer, Janelizabeths. SOLD! 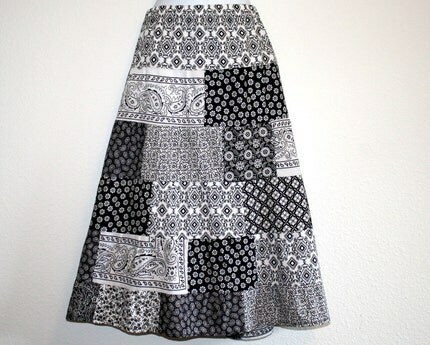 However, she has other pretty skirts. The Summer White and Black outfit can be dressed down or dressed up. 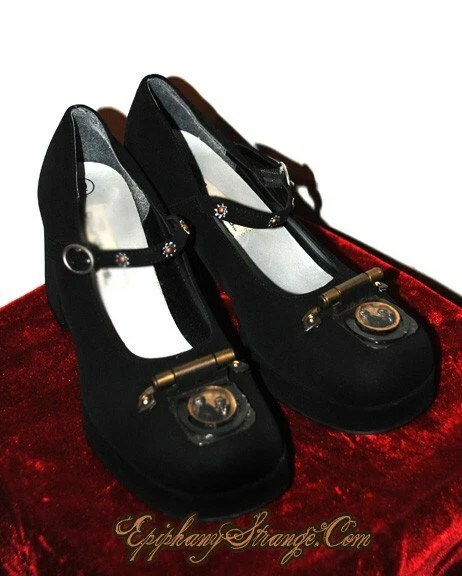 I chose to dress it up with a pair of delightful black patent leather Vintage Ci Ranno Mary Jane shoes with a two-inch heel. 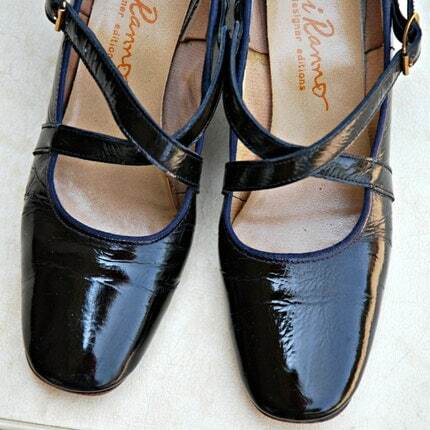 Although the shoes have been gently worn, you can see yourself in the leather’s shine. Etsy Vintage Vendor, DianaDwain. 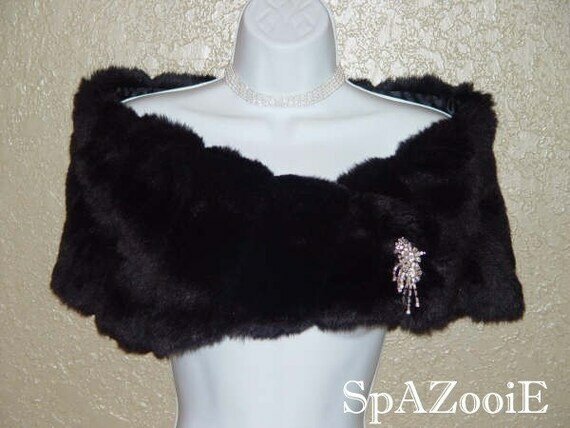 Jewelry and makeup always put the finishing touches on a well-dressed woman. 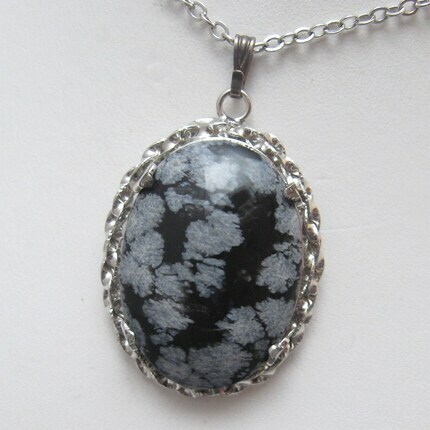 Gracing about the neck on the Summer White and Black outfit is a Vintage Sterling Necklace designed with a Snowflake Obsidian gemstone. An intricate chainlink border surrounds the “mind, body, and spirit” balancing gemstone. Etsy Vintage Vendor, purpledaisyjewelry. 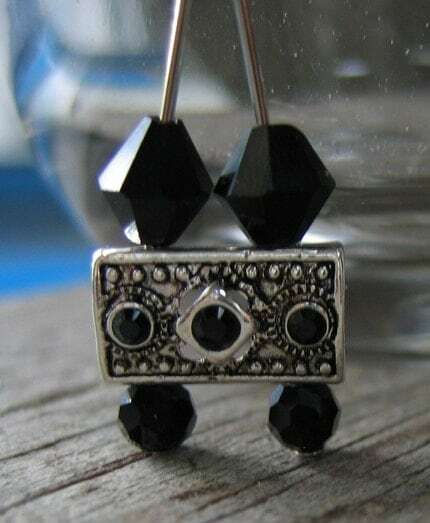 Shimmerin’ and swingin’ from the ear is a pair of contemporary and handmade “Black Swarovski Crystal Chandelier Earrings” SOLD! 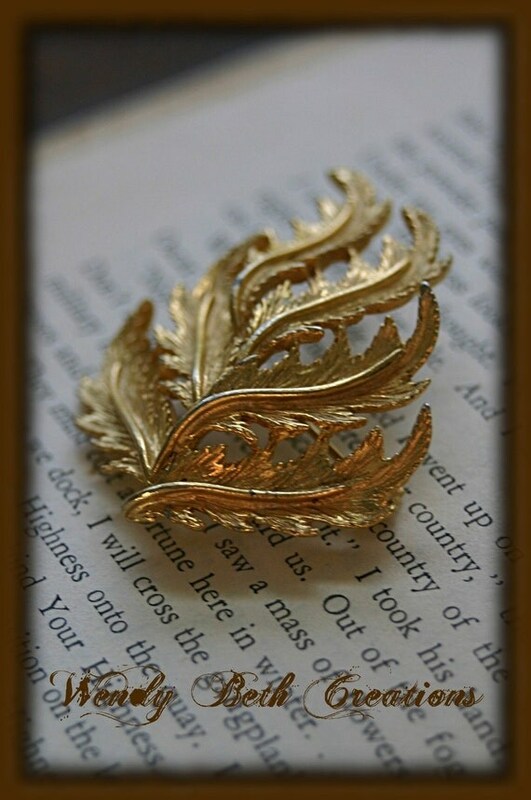 by Etsy Jewelry Designer, FindingCharm. Pay close attention to these earrings. The “black glass bicones” and the rounded “black glass balls” sitting atop and below “silver slides” accentuates the diamonds and the flowers of the above tiered skirt. It’s a perfect combination!